A signature project of Cultural Hotspot- East, Creekside: Eastern Gateway Mural is a permanent piece of public art, created to welcome visitors entering south Scarborough from the east. The mural design was inspired by the research and art of a local intergenerational group who took part in Mural Routes’ Step x Step: Intro to Mural Arts program at Morningside Library. This piece was painted by a group of youth led by emerging artist Emily Harrison, with mentorship by Mural Routes Youth Program’s Manager, Rob Matejka. 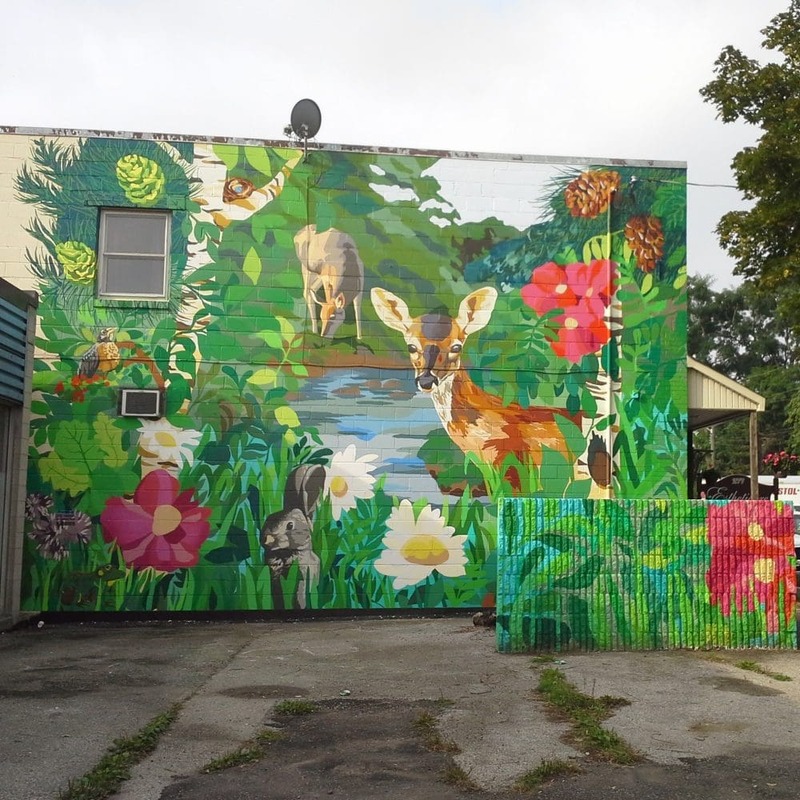 Spanning two separate walls, this mural celebrates the flora and fauna of Colonel Danforth Park, a green space closely associated with the neighbourhood.